To write Math Expressions correctly through your system is art as you can’t put powers, under roots or any scientific signs but now it is possible because there have come many tools that allow you to write any Math Expressions and insert them into any document you want to add. Following are some tools which can make it possible to write everything related to Math’s Expressions correctly. 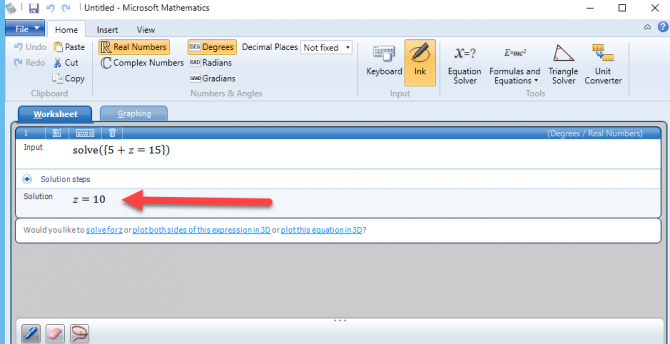 Now you can write easily any Math Expression in Windows 10 as it has one built in program “Math Input Panel” that supports every Math’s Expression. 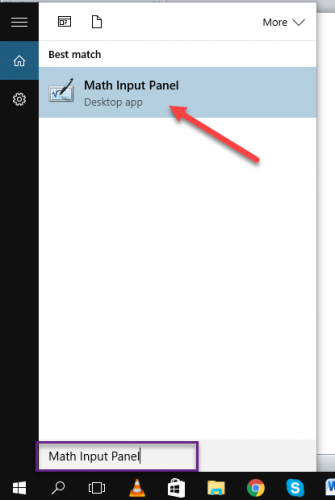 Type “Math Input Panel” in start menu and open the result which it shows. When you open it, a window will appear that says “Write math here”. As soon as you write, on left of that window, a new window of tools will also appear. Writing with your system’s mouse is little bit hard and annoying so you can attach any tablet or iPad to avoid frustration. Some time when you write on this Math Panel, it don’t understand it rightly so there is option to make it correct. So in below snap shot you can see, you write “+” sign but it considers it as “T”. So on double clicking the “+” sign which you wrote, you may see the list of any possible alternatives. You may select any one of them as you want to write. When you write an equation or any math expression, and now you want to use it somewhere in any document or anywhere else. Simple open that file and place your cursor where you want to put that expression and then click the “Insert button”. That expression will be added in your required document. 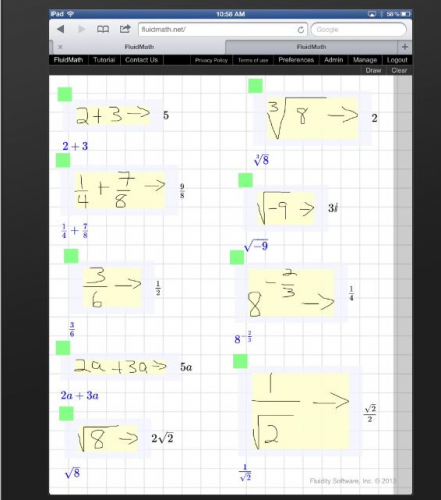 So this is how you can use this built in program and enjoy writing Math Expressions. Below are some other Third party tools mentioned. This tool/program has lots of functionality. 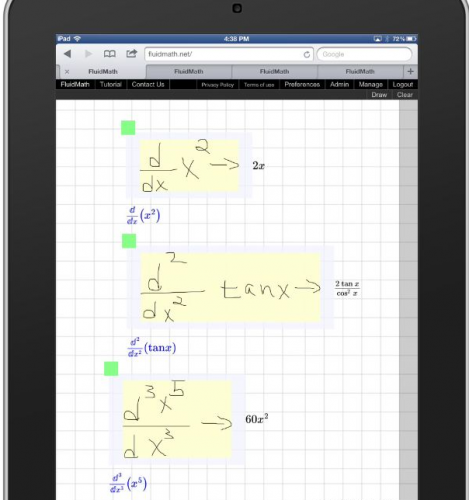 It gives you expression for any math’s field that may be calculus, trigonometry, statistics, linear algebra or standard. 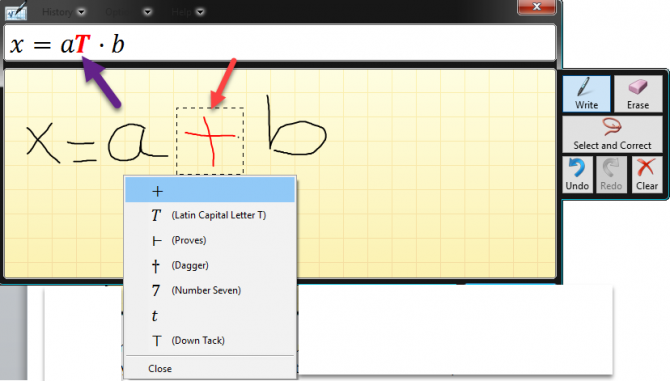 There is option for input entering through Keyboard or Ink(write by your hands/mouse). It can solve equations for you. Just enter any equation it will displays you the result for that equation. So this tool provides you lots of feature to write Math Expressions and use them in any other documents. This is another Math Expression tools. Now you can easily write any of your equation with your fingers and this software will graphically transform it and make it an equation. And you can easily use that equation to any document or anywhere else you want to use. But it is not free. Its registration fee is $15. These all are programs that help you to write Math Expressions easily and use those expressions in any document or file you want to use. 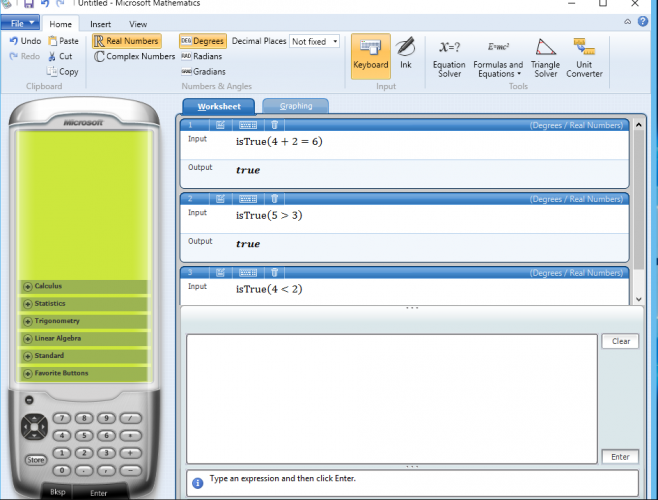 Now have fun with these software in writing any Expressions and Formulas. This article is very useful and steps are very beautifully described. I didn’t know about this before. One thing more, this technique is not only available in Windows 10 but also in Windows 8.1.